Experts say your morning meal is the most important meal of the day—for health reasons. We of course agree, but think it’s because, if it’s the right meal, it starts your day off memorably. Think mimosas alongside cheesy omelets, waffles topped with whipped cream, sides of hash browns, smoky sausage or Eggs Benedict smothered in hollandaise sauce. If you’re like many vacationers trying to pack as many activities into your day as possible, on most days you’re more likely to slam down something quick and convenient than relax and indulge yourself. That’s why, when you do have the opportunity, you want to take advantage—especially if that meal is a wonderful brunch. Here we present some of the best Southern brunches anywhere—and they all just happen it cities where you may be planning stays at o Bluegreen Vacations resorts. A bottomless mimosas and breakfast served all day await, at the Toast of Charleston. Here you’ll find Lowcountry favorites including the Eggs Meeting Street, a fried green tomato topped with a crab cake, poached egg and remoulade sauce, served with a biscuit and home fries or grits. Espresso drinks like Cinnamon Dulce Lattes are perfect alongside tasty breakfast selections like omelets, bagels, fruit and their popular stuffed French toast. You haven’t really lived until you’ve enjoyed brunch at the nationally acclaimed and locally beloved Hominy Grill. Fresh, from scratch and from the heart are three opening ways to describe the dishes prepared by Chef Robert Stehling. If you want something simple, try the country breakfast with two eggs with hominy grits and toast. Or, spice it up with salmon potato cakes with poached eggs or shrimp sautéed with scallions, mushrooms and bacon over cheese grits. Breakfast is served Monday through Friday. Brunch rolls into town on Saturdays and Sundays. 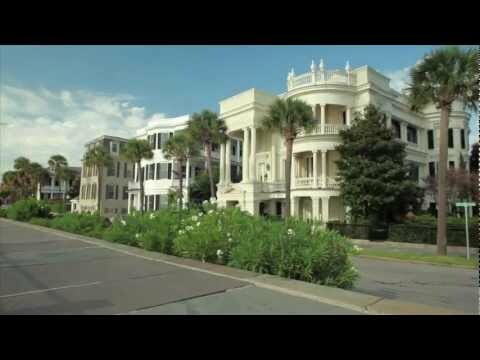 Located in Savannah’s beautiful Historic District, B. Matthews serves up a casual bistro, with a breakfast and brunch menu that is filled with local favorites. Breakfast items include traditional eggs cooked to order, pancakes, omelets and plenty of other plates. Brunch gets even better, with menu choices such as crab, artichoke and goat cheese omelets, or soaking in sweetness options such as apple, bourbon chutney and pecan pancakes. B. Matthews serves brunch Saturday and Sunday, and breakfast through the week. If you’re looking for the perfect place to enjoy breakfast, brunch or lunch downtown, look no further than Goose Feathers, a family-friendly café serving Savannah since 1986. This charming, European-style brunch cafe, located near Ellis Square, prepares everything onsite, from chocolate-stuffed croissants to chicken salad. Popular breakfast items include the sticky buns, Belgian waffles and Whoopie Pies, as well as old-fashioned oatmeal and Eggs Benedict.